Finding the right math activities to inspire your little learners can be tough, especially if your students have already decided math isn't their strongest subject. Giving students the tools they need to succeed later in life all depends on their ability to grasp basic math skills, so it's incredibly important to spark their interest in the subject. Thankfully, math is much more than addition and subtraction; kids have to learn patterns, sorting, shapes, and number sequences, all of which lend themselves to fun math activities! Create word problems that relate to the day’s activities and present them to the class. Asking students to work with their classmates to solve problems feels more like an activity than a lesson, so they will be happy to engage with the task at hand. 1. Egg-O-Math Game: Add, subtract, or multiply the two numbers your piece lands on inside the egg carton. The first student to reach a certain score is the winner! 2. Safe Cracker Printable Math Game: Make math fun with a free printable guessing game! 3. 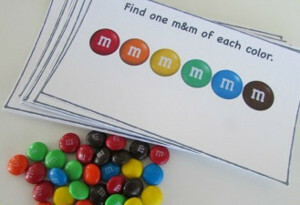 Printable M&M Pattern Game: The best educational activities also involve sweet treats! Use the free printables to help students create patterns with their favorite candies. 4. Number Line Addition and Subtraction Game: Break students up into teams. With each roll of the dice, students move through the board as they practice adding and subtracting. 1. Rainbow Hopscotch Activity: Take learning outside with this math activity. Ask students to practice skipping numbers as they skip through the hopscotch court to practice learning patterns. 2. Number Word Matching Chart: Teach younger children to recognize numbers as numerals and words with this fun educational activity. 3. 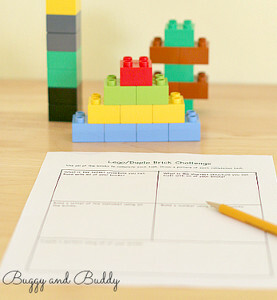 Lego Challenge Math Activity: This awesome learning activity allows children to take math into their own hands as they learn about shapes and geometry. 4. Hands-On Math Craft: Kids love to count on their hands, so why not turn that instinct into a fun math activity? This activity is perfect for visual learners. 5. Even or Odd Math for Kids: This free coloring page is a fun way for kids to learn the difference between even and odd numbers. Love these ideas? Find even more educational crafts and activities in our collection of 56 Creative Lesson Ideas! MathGoodies: at mathgoodies.com, teachers can find learning games, crossword puzzles, and other math activities. SuperKids: at superkids.com, teachers can easily create math problems for basic math skills like addition and subtraction, as well as other skills like telling time and finding averages. Education World: at educationworld.com, teachers can find even more free worksheets for boosting their students’ math skills. What’s your best tip for teaching math? Share it in the comments below!